You are cordially invited to attend the annual Hampshire House engagement celebration! The premier Boston engagement open house will take place on Thursday, Jan. 24 from 6 to 8 p.m. We welcome all brides and grooms to come an experience our warm and welcoming Beacon Hill mansion as they get ideas and inspiration for their big day. This is the perfect event for future brides and grooms who are at every stage of the wedding planning process, whether scouting the top Boston wedding venues or looking to interact one-on-one with potential vendors. During this exclusive two-hour event, you’ll be able to explore the mansion, taste some of our favorite wedding menu items, and interact with other brides and grooms from the area. It’s all about helping you envision the most special day of your life! This handpicked selection of providers helps you check off many of your pressing wedding-related to-do list items, including finding all of your key vendors. If you have special requests, want to check your date, or are simply tired of scouring the web for the best options, you’ll be happy to meet and greet with these top wedding professionals. This boutique event differs from others in Boston and the surrounding region because we are highly selective with who we invite to exhibit. Only vendors we personally recommend and prefer are invited to this event. The result is a well-curated grouping that doesn’t overwhelm already stressed brides and grooms. 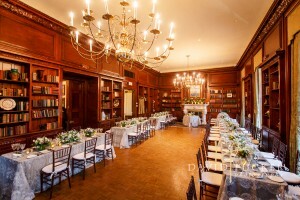 In addition to meeting with the experts who will help you flawlessly execute your special event, you’ll also get a chance to speak with the wedding and event coordinators at Hampshire House. Our wedding experts will be on hand to answer any questions and discuss open dates and special requests. Perhaps most importantly, you’ll also be invited to taste the many delectable flavors of Hampshire House, from carefully crafted cocktails to yummy local desserts. Come hungry! 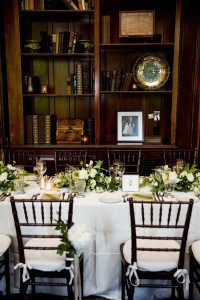 To RSVP, please visit our weddings page or give us a ring at 617-854-7628. You can also see our official invitation for additional information. Each individual is invited to bring one guest, such as a spouse, friend, parent, or anyone else you’d like to share the experience with.